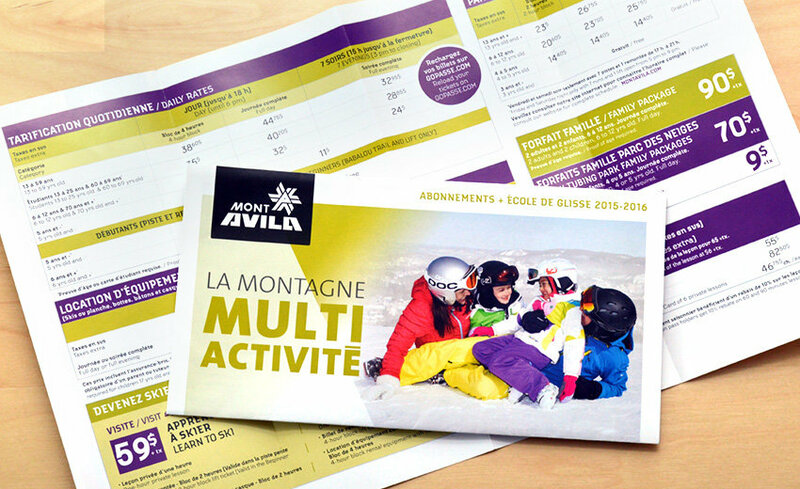 Mont Avila’s communications have been following the brand positioning we presented for almost five years now. How long a strategy lasts is a good measure of its quality. We work hard to always offer our clients long-lasting products, and this project is a great example. 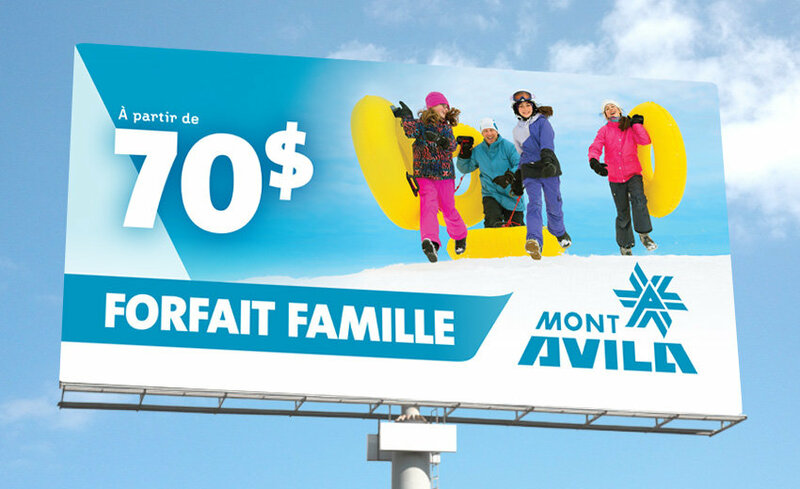 When we were assigned the creation of this identity, which was to improve the resort’s notoriety and increase traffic, we had to change the wide-held idea that the resort was just a snow park (a reputation it had built with its famous Shakedown event). 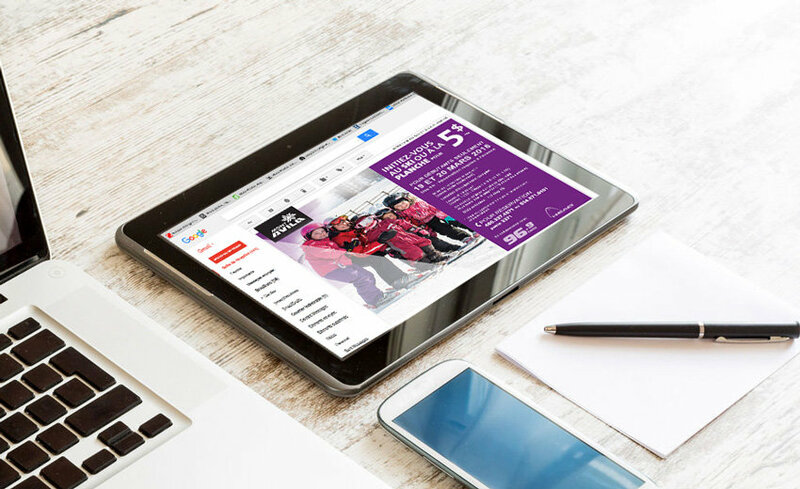 As a result, we decided to promote the resort’s possibilities for a range of activities for the whole family: tubing, a snow school and even a sugar shack. Year after year, highway signs, email, on-site signage, brochures, flyers, site maps, etc. follow an irreproachably consistent design, all the while successfully integrating new elements.